This article is #9 of a 8 part series . For additional suggestions checkout the rest of the Keeping Rental Property Owners Happy series. The Environmental Protection Agency (EPA) has designated October 20-26, 2013, as National Lead Poisoning Prevention Week to build awareness about the dangers of lead poisoning. Property owners will want to take note, because a common source of lead poisoning is from lead-based paints, which were used on or in many of the nation’s older homes and apartments that today are players in the rental market. Any residence that was built prior to 1978 must be treated as though it does contain lead-based paint, unless a certified lead risk assessor has issued a report indicating that the entire property has been tested and contains no lead based paint. Lead poisoning from lead-based paints is an invisible danger, especially in homes that were built prior to 1978 and likely targets of remodeling. Today, 24 million homes in the United States have peeling or chipping lead-based paint or high levels of lead dust, according to the Department of Housing & Urban Development (HUD). In 1978, the federal government enacted legislation that banned consumer uses of lead-based paint to reduce instances of poisoning that can be devastating to children and adults. 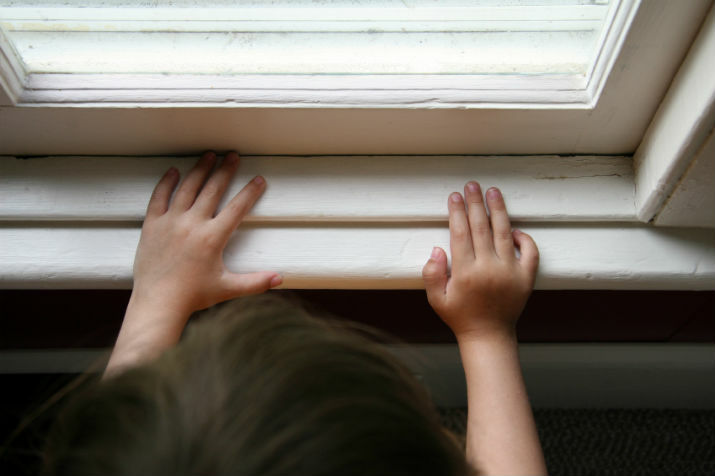 Kids age six and under are most susceptible to lead poisoning, which can lead to permanent brain damage, nervous disorders that cause behavior and learning problems, as well as a lowered IQs. Adults may suffer a number of health effects, including damage to the nervous and cardiovascular systems, as well as decreased kidney function and reproductive problems. Exposure to lead-based paint, in any amount, is dangerous for anyone regardless of age. Ignoring a lead-based paint problem can be particularly dreadful for property owners. In 2009, a team of New York lawyers won a $4.6 million lawsuit brought against a landlord on behalf of a child poisoned at age four from the apartment building’s lead paint. Lawyers proved that the child, who was 15 when the lawsuit was settled, had been exposed to peeling and chipping lead paint and lead paint dust. In 2007, dozens of cases were filed against Washington, D.C. landlords and property owners to force them to remove lead paint from their buildings after doctors found elevated lead levels in children younger than eight years old that frequented or lived in apartments throughout the city. Today, campaigns against lead paint wage on. California courts are wrapping up a 13-year-old lawsuit brought against paint manufacturers that produced lead-based paint. Nearly a dozen California counties and cities, including Oakland and San Francisco, are citing the state’s public nuisance laws in their pursuit of $1 billion to clean up residences suspected of having lead paint. The EPA’s Renovation, Repair and Painting Rule (RRP Rule) requires that firms performing renovation, repair, and painting projects that disturb lead-based paint in homes, child care facilities and pre-schools built before 1978 have their firm certified by the EPA (or an EPA authorized state), use certified renovators who are trained by EPA-approved training providers and follow lead-safe work practices. If the home was built before 1978, landlords must inform the residents or applicants that the possibility of lead paint exists. In 1992, Congress passed the Residential Lead-Based Paint Hazard Reduction Act, also known as Title X, to protect families from exposure to lead from paint, dust, and soil. Disclosure of known information on lead-based paint and lead-based paint hazards must be made before the sale or lease of most houses. Do not perform renovations yourself; get an RRP Rule-certified professional to do the work. Firms that perform renovation, repair and painting projects that disturb lead-based paint must be EPA RRP Rule-certified. Private laboratories or public agencies may be able to test the home for lead paint; consult state health and housing departments for more information. Also, home test kits cannot always detect small levels of lead in paint. While paint renovations are under way, occupants – especially children and pregnant women – should leave until all work is finished and clean-up is done. Lead-based paint in good condition is usually not harmful. But when that paint is disturbed, problems can begin to mount. Paint on the home should be regularly checked for chipping, peeling or deterioration, and any issues addressed immediately. Areas of the home where painted surfaces rub together, like windows, should be regularly checked. Also, carefully remove any paint chips or dust with a wet paper towel, says the EPA. Wipe down flat surfaces like window sills at least weekly with a wet paper towel, and then discard the towel. Homes with lead-based paint should be handled with extreme care. By doing so, property owners can ensure the safety of residents and the potential for costly litigation.